1-He spent half of a round after being banned the third time speaking with us (http://i.imgur.com/Y6XTqeS.jpg) and the round after he was voteban for aimbot again ... and came back with the fourth account. 2-http://i.imgur.com/xp4ghWC.jpg > He reached before being voteban 64 / 2 on the fourth account. His class weapon and place he always gone : Recon ; SVD ; The last carriage of the train near the bridge side standing on top of it very exposed and also good point of view killing everyone with a simple headshot. I didn't had in hand anything like Fraps to give it a help sorry about that but if possible check the stats of those 3 accounts you will not be disappointed . Кароче внимательно следим за чатом и за игрой. Все. 0:02 зена фигачит с базы, снела пару процентов. Обращаем внимание на дистанцию. 2:18 один из многих попыток его забанить на серве, которые я пытался преостоновить. Это к тому что не только у меня бомбит. ...Ну пацаны обещали найти пост и свои видосики положить, хотя я на них не надеюсь. А надеюсь на то что этого хватит! (и моего слово) Просто сложно ловить осторожных читаков. Вряд-ли найдется матерял по-лучше этого. 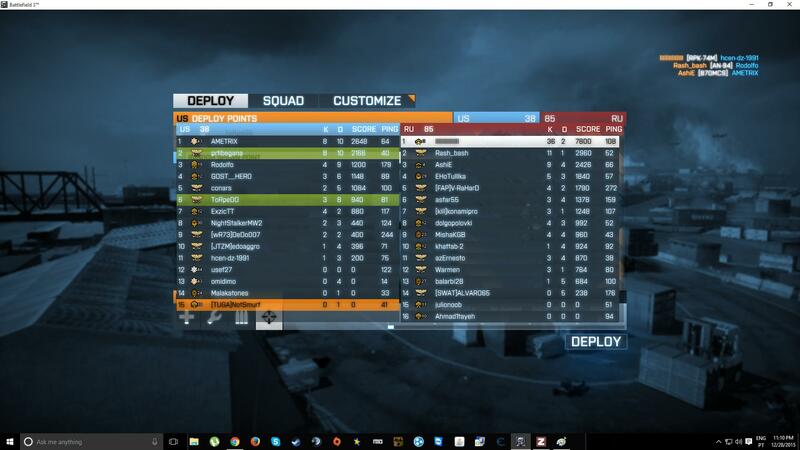 BF3 need cheaters banned. Have video material. Was playing bf3, I was somewhere about F base, and suddenly crypt0 killed me from 3 shots from his sg with 6x scope, from i think 500+meters... Decided to record, seemed suspicious. Came up with 2 cheaters at once. If you watch videos fully, somewhere i ask them whether they had other accoutns, because maybe they were pros with new accs(2;39), or Origin accounts, "3rd video - (5:30 they are brothers btw :d) (5:46 - Have origin? 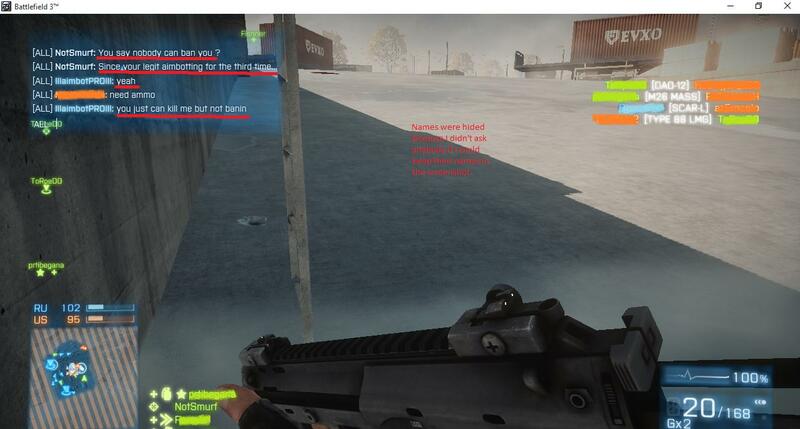 - yes... 9:44 tell me your origin usernames, we will play together.... - sorry we lied no origin... lmao xD )"
5:15 - Crypt0 killed he was under the table shooting other players, first, he was lying on the ground, shooting wall? maybe, that fast turn also good. here i was not focused on playing, just wanted to get some nice video shots. 3:54 - well, it may be just skill... same kit, 6x scope sg553, matrixneo standing with him, probably were camping. please reply as soon as they get banned. thanks. Hi, I want to report a cheater who's been using AIMBOT for a long time and he didn't get banned. And the problem is that when every player detect it he disconnect ASAP. Go check hes stats to know more about that noob. I've spotted player RedgatobrYea using aimbot cheat on server named ##[USA]## NRNS-Games.com 24/7METRO[Votekick]. I don't have any proof materials as images or videos but if you contact players named Jack and CollombiaSpeller they will eventually tell that he was cheating. Hope you will find him guilty.